Is It Time for a Garage Doors Repair? One of the most important things in today’s energy awareness is to have the right weather protection in one’s home or other buildings. Fortunately, today’s market offers a number of different things such as energy windows, weatherproofing, protective covering and others. 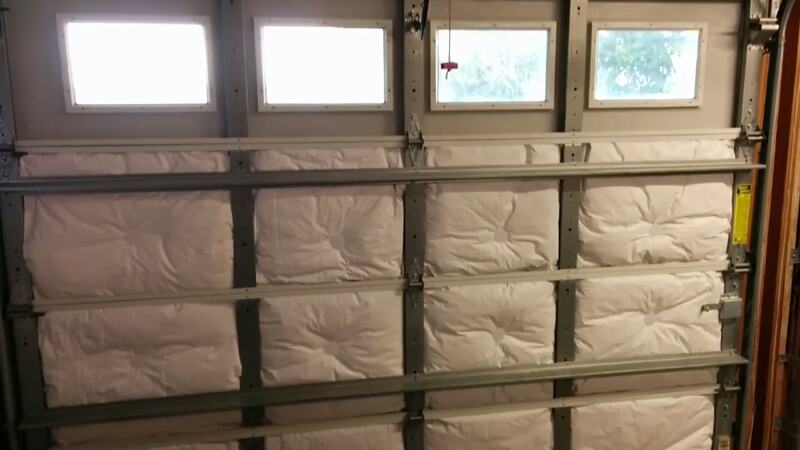 A great deal of heat and cold can be found in the parking space which makes garage door insulation r value very important. With the high demand for some type of home protection, against heat and cold, a number of different product claims were made. Many of these claims were not true and, as a result, the US Department of Energy stepped in and established a measurement of effectiveness called the R-value. This is determined by measuring the product’s resistance to heat. These values vary according to the climate area. Insulation R-value is an important part that shouldn’t be overlooked. Each type of heat resistant material is measured and given a value according to how it is used in the product. Loose fiberglass, for example, when presented in rolls, batts, blankets or loose receive a rating of 3.2 per inch. Cellulose, which is sprayed on has a rating of 3.2 per inch and Mineral Wool when blown into the ceiling or walls rates 3.1. Rigid insulation receives the highest rate of all at 4.0 to 6.5 per inch. Garage doors are made of wood, plastic or metal, with metal being the most commonly used. It would be possible to spray on cellulose but it does have a tendency to chip off if constantly moved. Loose fiberglass could be installed but gives off very fine particles that are irritating to someone breathing and the constant movement of the door might make this happen. Mineral wool is too loose to use. The remaining, and most practical, weather protection to use is the rigid insulation with the high rating. This can easily be cut to fit the door and would provide excellent padding against heat or cold. In addition, it would be beneficial to keeping the rest of the house energy efficient if the garage is an attached unit which most are these days. The correct insulation r value for garage door will maximize the effectiveness of the insulation. Many people use this part of their house for a workshop or other activities. Having it ‘weatherproofed’ by insulating the door would make it much more comfortable as well as usable the entire year regardless of the weather. This seems like a win-win situation both for comfort and for savings. The garage door insulation r value is important when choosing what to use to get the most out of the investment. A person can check the package label to see how it is rated as well as check the Internet to compare brands. Having the very best available will more than pay off in the long run. Garage door threshold is highly effective Is It Time for a Garage Doors Repair?